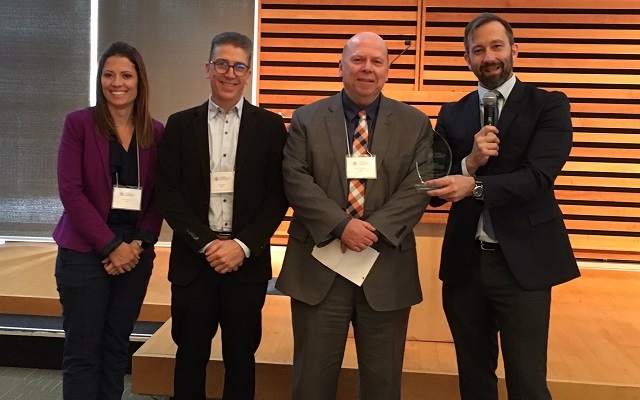 The WSIB’s collaborative Community Mental Health Program has been honored with the 2018 Public Service Award from the Ontario Psychological Association. The Program works to improve access to mental health services for first responders and people requiring psychological services. It is designed to give people evidence-based, outcome-focused treatment, and lets psychologists spend more time on treating people and less on administration. The WSIB Community Mental Health Program provides a structured approach for service delivery in several phases, including intake/pre-authorization, assessment and treatment blocks, with corresponding reporting requirements, and with set reporting templates and blocked fee payments. All Ontario psychologists and psychological associates registered with the network can be found in a directory on WSIB.ON.CA. Any questions about the Community Mental Health Program can answered on the Program’s FAQs page, or directed to the Health Care Practitioner Access Line at 416-344-4526 or 1-800-569-7919.